The Wachowski brother’s ‘The Matrix’ is a story of Neo (Keanu Reeves) who comes to discover that the world he lives in is not quite what it seems. After joining rebel forces, he is brought into the brisk realisation that the world he thought he knew was all a part of some dream simulation and battles to regain the forces of consciousness that once prevailed. The Matrix is interestingly studied more often for its metaphysical interest then its political philosophy or orientation. ‘The Matrix’ is lauded often for its expression of Robert Nozick’s concept of the ‘Experience Machine’ in reverse. However, deeper in the idea of the rabbit hole of our realities, is the agency of the individual. Does the individual have a say in choosing the state of their realities? The further dilemma of relinquishing our individual autonomy for a slavish yet easy existence is expressed through the heavily dystopic atmosphere in ‘The Matrix’. Its strong throwbacks to the cinematography of German Expressionism is further emblematic of its critique of and form of despotism. Quentin Tarantino’s ‘Death Proof’ is a part of a Grindhouse combo, which was originally released as a double feature along with Robert Rodriguez’s ‘Planet Terror’ (2007). In a sense, the film itself seems to be split into a double feature, as we watch two different groups of girls within the film who never relate or interact with each other in any way. However, both are terrorised by Stuntman ‘Mike’, play by Kurt Russell, who stalks and preys on young, attractive women, using his car as his main choice of weapon. The technique of juxtaposing these two groups of women indicates a very strongly libertarian message, and without giving away too much of the movie, I may be able to explain perhaps why. Firstly, in the middle of the film, we are interrupted with a long and winding monologue from a policeman talking to his superior. What we quickly catch on from this monologue is that despite the cops’ know-how in gaging the true agendas behind stuntman ‘mike’, he finally concludes that he is disengaged in doing anything about his potentially lethal intentions. These suggestions of the inadequacy of the state-bound American police force, point a finger at the strongly territorial nature of our government protection, suggesting an underlying libertarian sentiment that permeates the American police force. Furthermore, it is the triumph of a particular group of girls within the movie who take matters into their own hands without reference to any external government intervention, demonstrates the strength of the libertarian initiative that permeates this particular Tarantino flick. John Carpenter’s ‘Escape From New York’ follows the mission of Snake (Kurt Russell), a convicted bank robber, who is sent to rescue the President of America, who has crashed into a futuristic Manhattan that has now become a giant maximum security prison where all hell has broken lose. 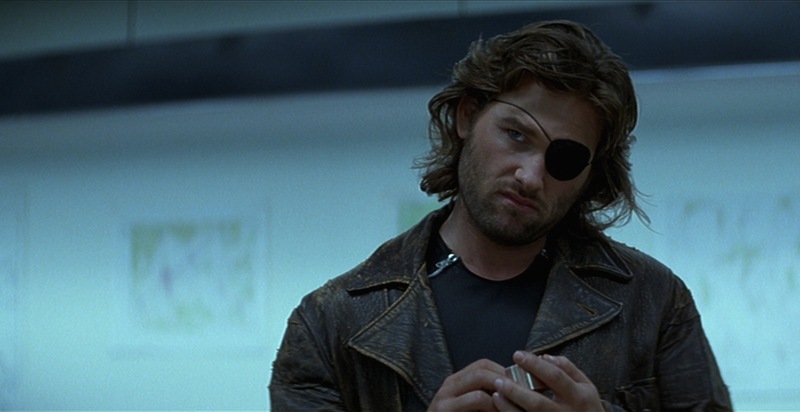 The interesting thing about ‘Escape From New York’ is that it was set in the very near future of 1997 which for us has already past. Yet the belief that entire American towns or cities could so quickly crumble into urban decay resonates within the fears of vast themes of government instability and lack of control. Dystopic settings also explored in environments like Blade Runner and other sci-fi films of this era echo similar fears of government instability and recklessness. It is particularly the iconic Carpenter atmosphere, which glamorises the urban decay of its environment that becomes a playground for the anti-hero, reflects a progressive libertarian subtext. As rather a warning against the loss of government control, the cool and somewhat glam-rock aesthetic of the New York decay, rebels against the status quo and reinforce the libertarian agenda of omnipotent government control. Snake’s emergence as the rigorously individual anti-hero, who is not only ostracised from the government that employs him for his talents, yet is also pitted against the prisoners and rebel forces who permeate the New York setting. Snake represents the middle man between absolute chaos and strict government control. 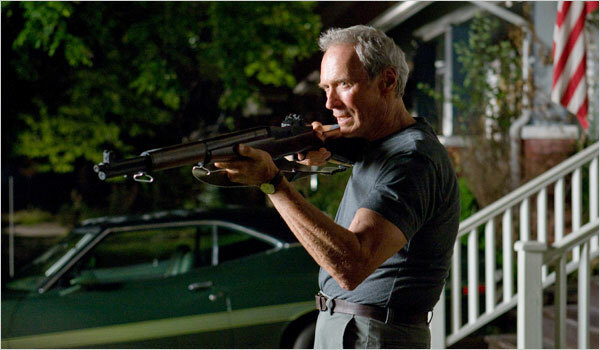 Clint Eastwood directs and stars in ‘Gran Torino’, a story about a conservative war veteran Walt Kowalski (Eastwood), who forms an unlikely bond with his Chinese-American neighbours. What brings this bond to likelihood becomes their joint victimisation of a neighbourhood gang, after Walt manages to veer off the gang through his own initiative. This hails the beginning of the conflict between safeguarding oneself with legal protection or taking things into one’s own hands. The libertarian values that are abundantly played with throughout the movie, do not only reside in the obviously individualist and self-determined nature of Eastwood’s Walt that dominates the film, yet it is further his use of non-political correctness within his language and interactions that places him outside of the social accepted ethos. In indulgences in faux pas and alienation of social correctness is demonstrated to having a pro-libertarian ethos, in its resultant ability to form unlikely bonds through the barriers that this outlook sheds. This is not to confuse the moment of racial prejudice that initially plague the Vietnam vet as a positive form of libertarianism. Yet it is the libertarian ethic for Walt to esteem his Chinese neighbours outside of their social value as any other or minority, yet as simply as simply what they are in and of themselves. 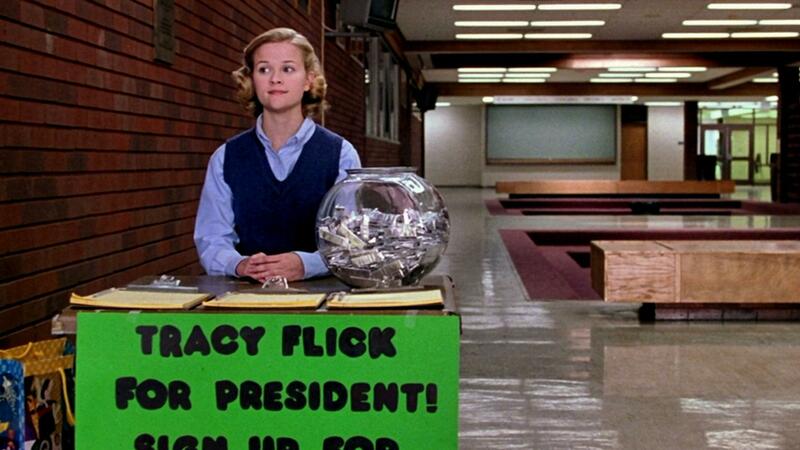 ‘Election’ by Alexander Payne, follows the story of Jim McAllister (Matthew Broderick) a high school teacher, who forms a hatred and consequent vendetta against the aspiring school president Tracey Flick (Reese Witherspoon). As McAllister is running the annual high school elections for the presidential student body, he is faced with the bizarre array of high school students running for student president in a varying display of the confused, the apathetic and the overly-enthusiastic. The setting of American politics within the high school environment functions to create a direct satire of American democracy or its illusion of. The banality and frivolity of presidential campaigns, which is accentuated particularly within a controversial scene, in which student campaigning posters are torn day and thrown away in a garbage bag as if they were evidence to a murder scene. It is particularly the contracts of Flick’s avid determination against Tammy Meltzer’s (Jessica Campbell) distinct apathy, which displays the abundant gap between the lacking public involvement or even captivation against the overly zealous and self-interested politicians who claim to work as public servants. The libertarian message becomes evident in the redundancy of the student body, which begs the question how much our own political bodies are required to govern us? And how much of it is just purely self-aggrandisement and frivolity? Perhaps the libertarian suggestion to this movie would say: perhaps minimised government control is for the best.